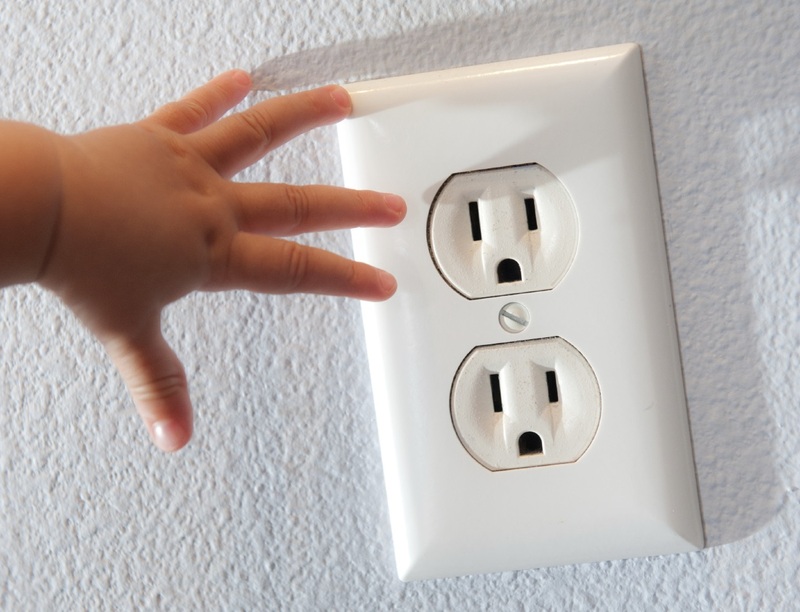 Each year, nearly 2,400 children suffer from severe shock and burns as a result of sticking foreign items into electrical receptacles. No matter how many times we try to teach our kids about electrical safety, we can’t deny the fact that they will continue to be curious. For this reason, if you have small children in your home we strongly recommend having tamper resistant receptacles installed. What is a Tamper Resistant Receptacle (TRR)? This type of electrical outlet provides automatic protection for your entire family. It looks like an ordinary outlet, but is designed with spring-loaded receptacle cover plates that close when nothing is plugged in. This feature makes it difficult for young children to stick their fingers, toys or other objects inside. When equal pressure is applied to both slots, the cover plates open to allow electrical devices to be plugged in. If pressure is not added simultaneously, the plates will remain closed. These specialized outlets only cost about 50 cents more than a standard outlet so replacing every receptacle in the home would only run you about $50. Keep in mind that most traditional outlets can replaced for as little as $2 per outlet. It’s worth the price to keep your kids safe if you ask us! Interested in converting to tamper resistant receptacles? Let the expert electricians at GEN3 Electric take care of it for you! We specialize in outlet/switch repair and replacement so give us a call today at 215-512-4102.
my readers would value your work. If you are even remotely interested, feel free to shoot me an email. Use that safety switches to keep your kids safe even you are busy in best essay writing site and jobs. Because there are a lot of examples to show that innocent kids die or face serious injuries because of electrical circuits.